Posted on Sun, Jan 8, 2012 : 6 a.m. 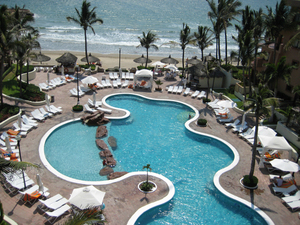 So, could you recommend a good hotel in Mazatlan? This is part five in my series on asking for referrals. I'd recommend that you read the other parts, but you can probably get by without them. Last time, we covered some of the other business referral requests we could make beyond asking for more clients. Today I want to remind you that networking isn't just for business. You can call upon your networking resources for personal reasons, too. Doctors, dentists and other health experts. Of course, you can always just pick a name out of the phone book. Wouldn't it be nice, though, to have the recommendation of someone you trust before you open your mouth and say, "Ahhh"? Vacation destinations. I'd guess you have more than a couple of inveterate travelers in your network. If you are planning a trip anywhere, you might mention it to your connections. You might be able to avoid some of the mistakes they made and see some sites you might otherwise have missed. Household help. Last summer, Lisa and I lost power over a weekend. It sure would have been nice to know someone in my network who would have been willing to lend us a generator. You know I'll be asking around for next time. Education. Whether it's a recommendations for a cooking class for yourself, or maybe your kids need a reference or two to attach to their college application forms, check your network. Remember, people love to help. Giving them an opportunity that doesn't involve becoming your client is a great way to make them feel indispensable in your life. Next time, we'll have a brief review on some of the techniques of the actual process of asking for a referral. After all, it would be a shame to make a misstep and leave yourself worse off than if you hadn't bothered to ask at all.